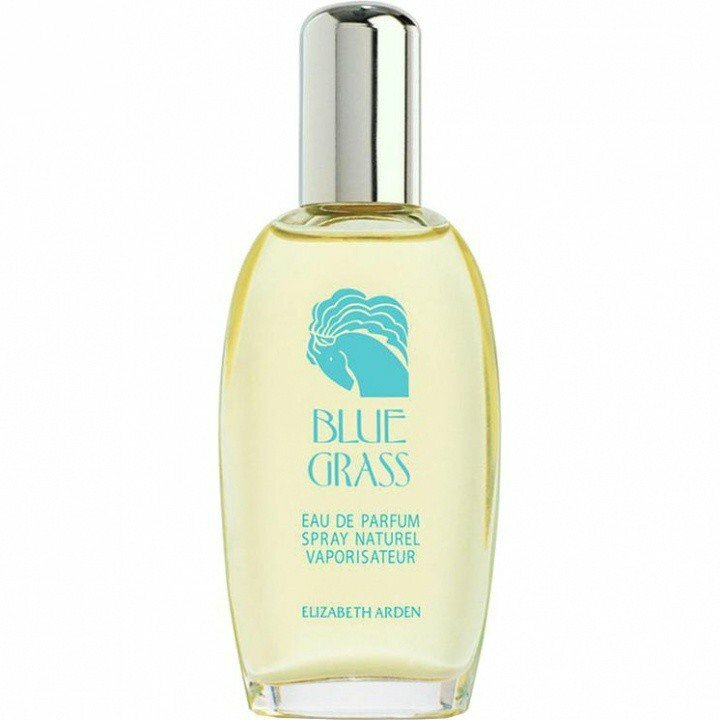 Blue Grass (1989) is a popular perfume by Elizabeth Arden for women and was released in 1989. The scent is green-floral. It is being marketed by Revlon. Blue Grass is the penultimate of my mother's fragrances, which have now moved in with me again. Actually, all her scents were always a bit idiosyncratic, a bit repellent, distant in any case, sometimes a bit creaky and almost always gently melancholic. She wore Mitsouko, Je reviens, Soir de Paris, L'air du Temps, Paloma Picasso's Mon Parfum, Jicky and Blue Grass. Jicky falls a little bit out of the line, but also only a little bit, because Jicky isn't really pleasing and catchy either. She wore Jicky only on really festive occasions and he stood her perfectly. It's still too big for me, but who knows, maybe it'll stand up to me someday. Blue Grass is perhaps the most idiosyncratic and unwelcoming of all. I have never forgotten the scent, although I have not consciously smelled it for decades, because one day you could no longer buy Blue Grass. Just like that. So she used up her leftovers, and that's it. The fact that there was a new edition of Blue Grass at some point passed her (and me too - back then I just wore perfumes without any deeper interest). And now it's here, the new version and I'm really surprised: It's so much in line with my scent memory that I'd probably need the direct comparison to spot differences. The top note is as characteristic as before: very cool, cloudy, with a matt texture. Brittle and distanced lavender dominates, with strong soapiness and something herbaceous. Lily? I might. Rosengeranium? I'm sure it is. If I should assign a face, then it would be that of Greta Garbo, shaded look, flawless marble features, latent sadness. The heart becomes spicier and softer in slow motion, the vetiver, with which I am not really good at, is perfectly arranged and is able to integrate and complement the spice with a hint of delicate grassy sweetness. A little powder, some soap. Gently. Melancholic. I read flowery-green in the perfume description. No, that's not Blue Grass. Flowery-green, that sounds like light-hearted summeriness, like laughter of happy afternoons in nature or in the garden, like youthful freshness. Blue Grass is ageless, cool, soft grey and gently fogged. And unmistakably quiet. Many years ago - I was still a child - an old lady gave me a bar of scented soaps from "Roger & Gallet". The soaps must have been lying in the cupboard for some time, because their scent had gone a bit. Nevertheless, this box was a real treasure of scents for me. Occasionally I opened it, took out every soap, smelled it and enjoyed its scent: rose and other flowers and also sandalwood. I had forgotten this soap box for a long time until I sprayed "Blue Grass" on it today. A scent from another time. It's not like that anymore. You can't even call it old-fashioned, because nobody still smells like it. Even today's soaps smell different. The fragrance has something pragmatic and serious. Everyday life is hard and wants to be mastered. First the work, then the pleasure. Perfume is only worn with a good dress on Sundays. And I want it to smell clean. Nowadays this is almost a niche fragrance. I'm glad I got to experience that! Blue Grass - Older than you think. I was given a small glass sample bottle of this as a child, probably in the late '60s but the sample could have been from much earlier. The sample bottle was large by today's standards and lasted me a long time as I only applied little dabs just to catch a whiff. So was 1989 (as in the description) a big re-launch? I am sure I have read elsewhere that it originated sometime in the 1930s and I certainly had some as a child. This review is for a bottle from around 2012. Herbal and spicy, cool green vegetal springtime floral, with a soapy animalic musk. Yardley used to make some herbal lavendar soaps; lavender and thyme; lavender and rosemary. Bronnley used to make a large wooden gift box of soaps with some herbal mixes. The bay in Blue Grass is quite strong, vegetal, sharp lemon, and soapy - with a feel similar to one of those herbal lavendar soaps. The dominant florals to me are lavendar and daffodil with a tiny dab of carnation and tuberose along with an undercurrent of sweetness that is almost but not quite rosey. As it drys it has a musky generic woodiness with a silky soapy sandalwood peeping through - still with the lavendar and crushed bay keeping it bright. 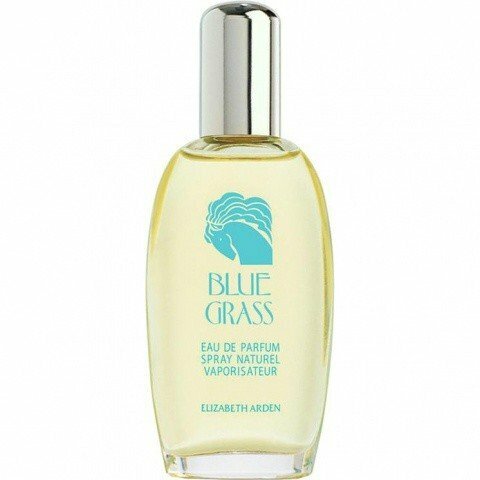 Brought up on highly perfumed herbal soaps means I am very familiar and used to that type of smell so I don't find Blue Grass unusual but I think many people will find it unusual and perhaps strange. Moderate strength, sillage, projection, longevity. Bottle purchased around 2012 (Eau de Parfum). Write the first Review for Blue Grass (1989)!